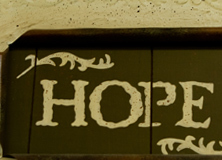 Hope is the emotional state which promotes the belief in a positive outcome related to events and circumstances in one's life, each and every one of staff, and volunteers posses this emotion. In the early 1970s a group of dedicated volunteers recognized the need to investigate the use of drugs and alcohol among adolescents. This work culminated in the incorporation of the Centinela Valley Drug Abuse Coalition in 1973, and the opening of BHS’s first outpatient substance abuse treatment facility in Inglewood, California. As the organization continued to grow, adding new services and opening in additional locations throughout Los Angeles County, they recognized that they were addressing far more than drugs and alcohol; they changed their name to Behavioral Health Services, Inc. in 1975 to reflect the broader range of their work. Since its inception BHS has grown to 16 locations throughout Los Angeles County.